VICTORIAN SHOTGUN DOUBLE WITH ORNATE BRACKETS, TRANSOMS AND ARCH. DETAILS THAT BOAST OLD NEW ORLEANS CHARM. 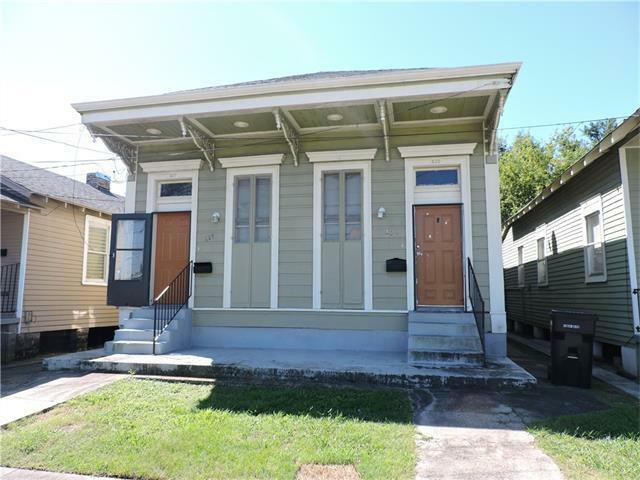 SOLID WOOD FRONT DOORS, HIGH CEILINGS, CROWN MOLDING, REDONE FLOORS IN BOTH SIDES & UPDATED KITCHENS AND BATHS. MOST ARCH. DETAILS INTACT INCLUDING FIREPLACE MANTELS. OWNER LIVES ON ONE SIDE, TENANT ON THE OTHER. SIDEWALKS LEAD TO FENCED BACK YARD & ENCLOSED SHED OFFERS WASHER & DRYER HOOKUPS & STORAGE. STEADY INCOME WITH RENTAL, INVESTORS DREAM. GULF SOUTH MOVIE STUDIOS CURRENTLY UNDER CONSTRUCTION. Listing provided courtesy of Sybil A Orr of Keller Williams Realty 504-207-2007.